If you're looking to visit The Roost as a group, we have great packages to suit a variety of interests, time constraints and budgets. Online booking is available for via the link below. Please note bookings are mandatory for groups of 8 or more. - During Normal Opening Hours: Up to 12 people hosted in our private tasting area. Our table can seat 10, but there's plenty of room for up to 12 to stand and mingle. Minimum 6 people. Bookings include a dedicated knowledgeable host for your visit; an introduction to the winery, how we grow grapes in this area and the winemaking process, a guided tasting through 4 of our wines, a glass of wine of your choice, a charcuterie and cheese plate for the group served on a large platter and a private tour of the processing area of the winery and vineyard (weather and winery operations permitting). Most groups find that the cheese and charcuterie board makes a great lunch! - During Normal Opening Hours Only: Up to 12 people hosted in our private tasting area. Our table can seat 10, but there's plenty of room for up to 12 to stand and mingle. Minimum 6 people. Bookings include a dedicated knowledgeable host for your visit; an introduction to the winery, how we grow grapes in this area and the winemaking process, a guided tasting through 4 of our wines, a glass of wine of your choice, and a private tour of the processing area of the winery and vineyard (weather and winery operations permitting). - During Normal Opening Hours: Up to 10 people hosted in our private tasting area. Minimum 6 people. Our premium package is designed to give you a special in-depth experience focused on our cold-climate wines and the art of winemaking. Hosted by The Roost's winemaker (who's also an owner of the winery), you'll be guided through a tasting of four wines, including wine not always available for tasting in the tasting room. 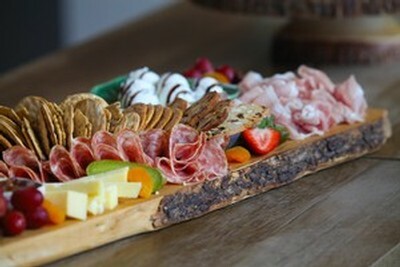 In addition to the tasting, the package includes a glass of wine of your choice, a charcuterie and cheese plate for the group served on a large platter, and a private tour of the processing area of the winery and vineyard (weather and winery operations permitting). This is a wonderful way to learn more about wine tasting and winemaking direct from the source while enjoying a selection of fine cheese and charcuterie.